My Roof Is Covered in Moss, Does It Need A Roof Restoration? Moss, mould, lichen and algae don’t make a roof surface look all that attractive but research from top roofing suppliers have found that this isn’t actually a bad thing for your roof, unless there is actual damage done to the tiling itself otherwise it is just surface buildup from moisture that will need a clean to remove it. When you are in need of a full roof restoration there are several purposes and reasons to why this call of action is needed. The main purpose is to extend the longevity and give protection to the roof surface to seal and stop water seepage into crevices. Dealing with a professional Roofing specialist, you will be first given a quote of the findings of work that will need to be done in the restoration of your roof, this will be given once a complete inspection of the Roof surface has been checked. The inspection will be looking at broken tiles, lifted sheeting, missing screws, cracks, missing mortar, downpipes and gutters all intact. Once the quote has been done and approval to conduct the work is done, a high pressure clean of the roof surface is carried out and this will remove any debris such as mould, moss and algae and leaves a clean surface for preparation of the maintenance of the restoration work. All areas for replacements such as screws, affixing sheeting that may have come loose, new guttering, pipes, re tiling, capping and mortar will be applied for added strength for the roof surface. When the roof surface has had all amendments made, the coating will be applied by the professional Roofing specialist, this will protect the roof from environmental exposure and also give longevity to your roof making it look great too. Are You Looking for Professional Roofing Specialist? 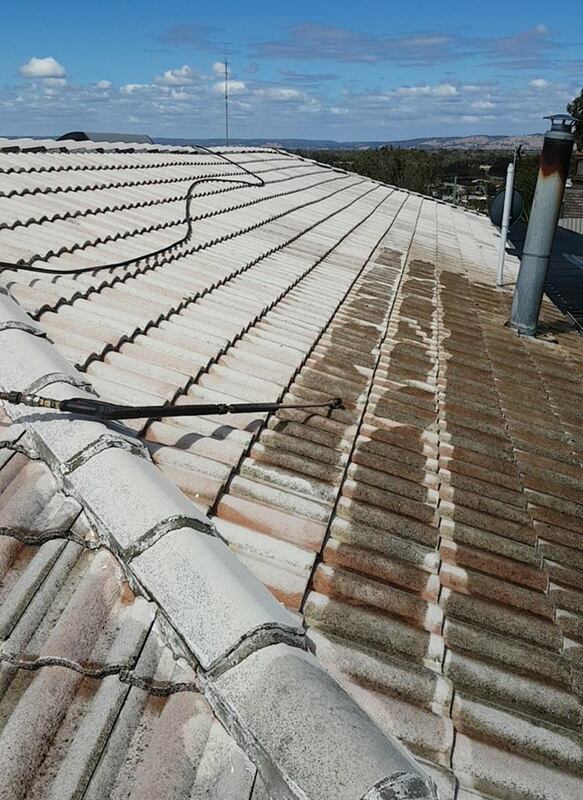 If your tiles are faded or your roof is covered in moss, contact Tom and the team on 9795 9990 at ROOFWEST Roof Restoration for a full range of restoration services, giving your roof the lift it needs. Will Removing Moss Off My Roof Add Value to My Home? I f you are looking to sell your home, or even just have it valued, you want it to look its best. 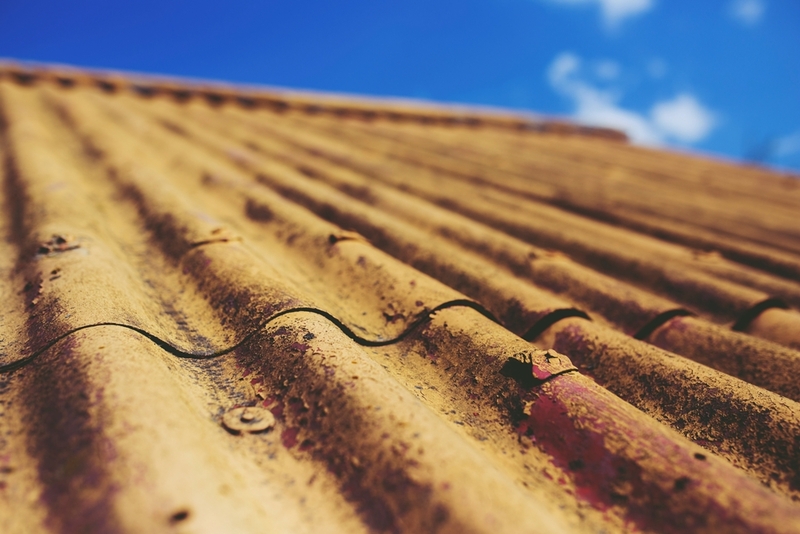 Your roof is like a hairstyle for your home – clean and well-kept or neglected and dirty. Keeping your roof surface clean and free of debris is essential to not only maintain the quality of your roof but to preserve the appeal and add value to your home. Moss and mould not only looks unsightly but can damage the structural integrity of any type of roof material. Or even worse hide issues that if fixed quickly will be a minor inconvenience yet if left could turn into a very costly fix. Moss commonly thrives in damp and shady environments, establishing its roots on the surface and starting the degradation of your home. Moss can lift tiles, resulting in holes and leaks into your home and constant moisture results in bacteria and mould growth. 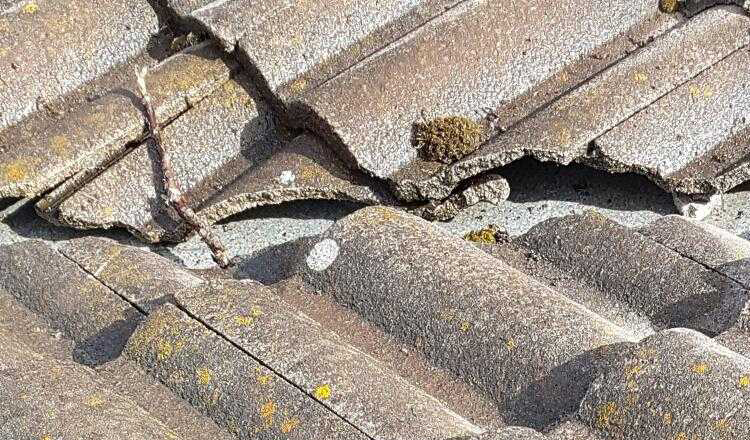 Structural issues may not be obvious to buyers or property appraisers at face value but a poor inspection report due to faults in the roof material can cost you in emergency repairs or even losing a sale. A clean well kept roof can increase the value of your home. 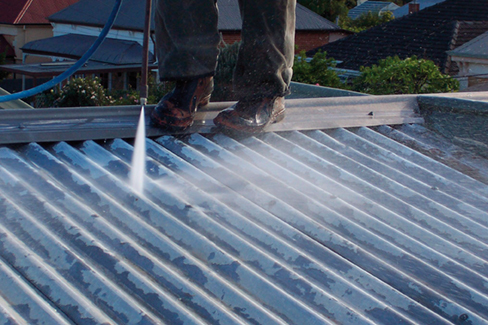 Cleaning your existing roof not only saves you money but can still have a significant impact on your home’s value. 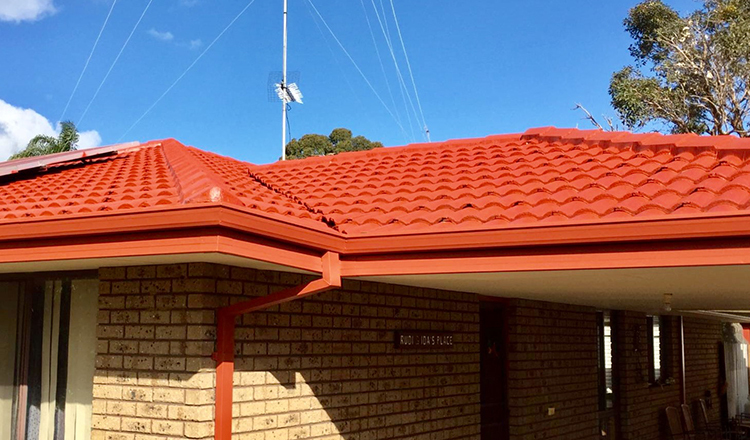 Painting or coating your tiled roof could be another option to give your home a new lease on life.Removing moss or any other type of debris from your roof should always be done by a professional. Moss can make the roof surface extremely slippery and unsafe so don’t be tempted to tackle the job as a DIY. Yes, it will look good and as we all know appearance is everything. If you are considering selling a well kept roof could make all the difference. ROOFWEST are local, experienced and offer honest and professional service when it comes to your roof cleaning requirements. For a free quote, call Tom on 08 9795 9990 and see the potential and value in your roof today!